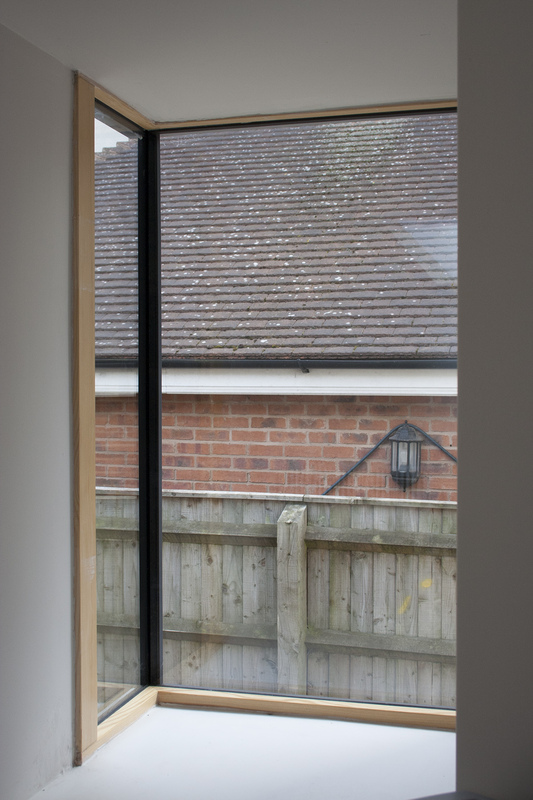 Alterations and extension to existing house taking the form of a cedar clad box with metal roof and a cedar clad parapet wall. 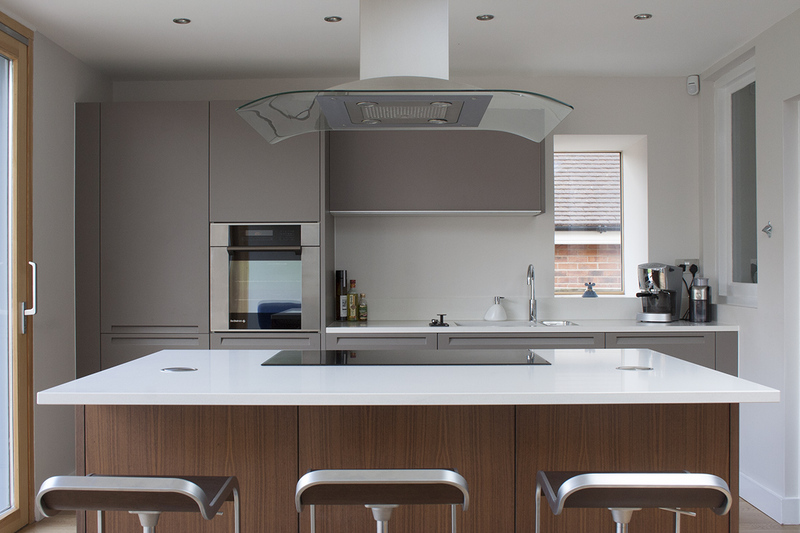 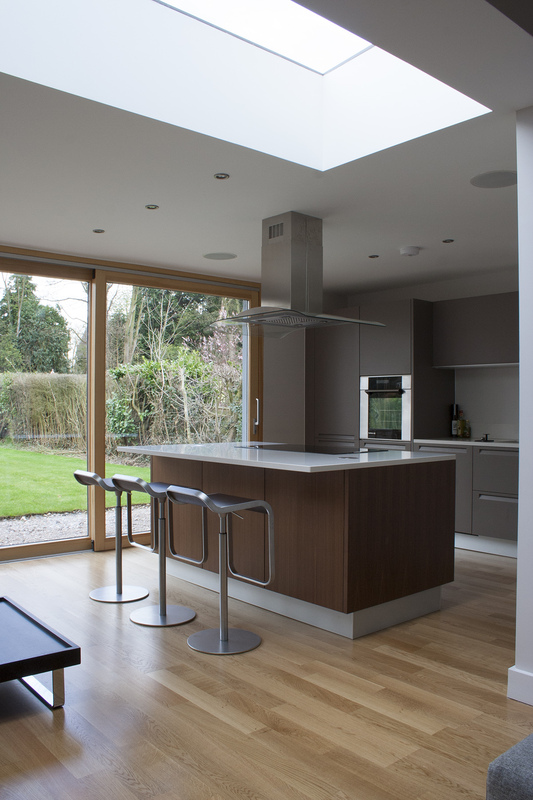 This extension houses an enlarged living space and kitchen. 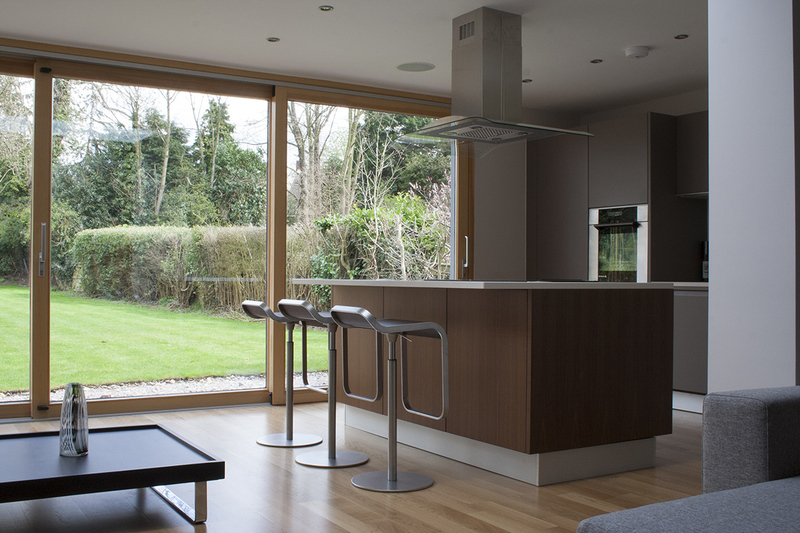 Large timber sliding glazed doors open up the space to the large garden. 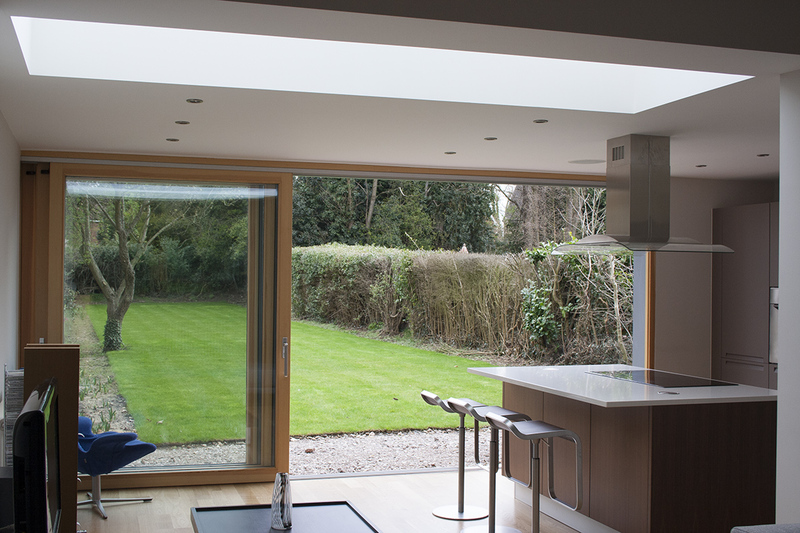 A frameless roof light brings daylight into the middle of the new space and helps join the new structure to the old.